The sailor cap is setting trends and has become a must in fashion as it allows multiple looks and options. 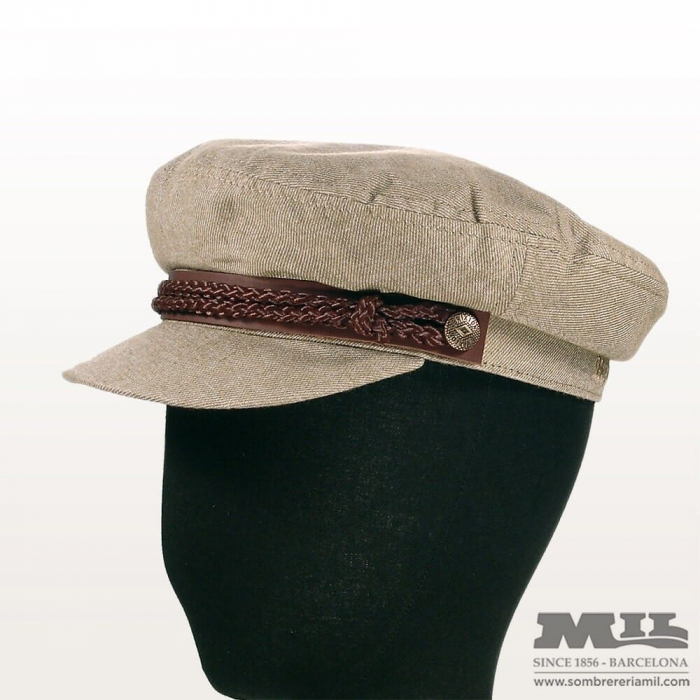 If you are looking for the best sailor cap online in Barcelona, you have found it. Brixton leaves us open-mouthed again with this top-quality sailor cap. Do not let it escape! Fly! Our hats are sent inside a box with a protector specially designed to store and protect the hat. We recommend that you keep your hats in a place protected inside a box to prevent them from breaking or deforming. Follow the washing and maintenance instructions proposed by each manufacturer. For any doubt contact with our specialist team. Remember we have at your disposal our own handcrafting workshop, where we can customize, clean, restore or create your hat. Improve your experience! The colors of the products you see on the website, for various technical issues, may differ slightly from the real color of the product.